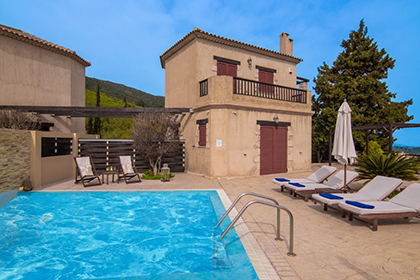 Villa Daniella is an elegant, cozy house in the Korithi village of Zakynthos, with a distinctive rustic character that will give you a memorable, authentic experience. 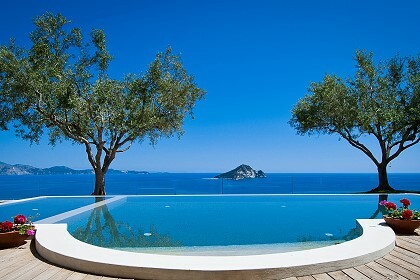 The luxury villa is located in the northern part of the island, closer to nature, with peaceful and quiet surroundings. 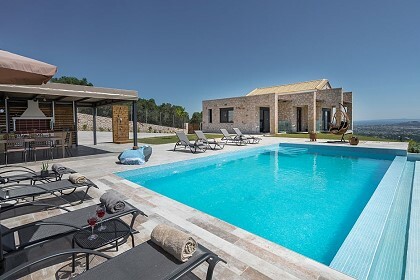 Contemporary amenities combined with the characteristic traditional style of the building and the relaxing outdoor areas, which include a private swimming pool and are surrounded by olive groves, make Villa Daniella a holiday memory that you will keep forever. 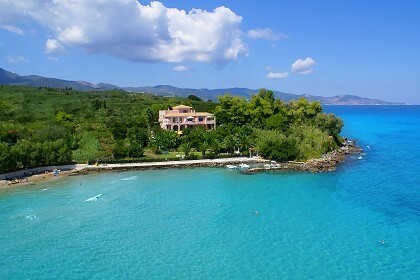 Villa Daniella measures 125 square meters and can accommodate up to 6+2 guests. 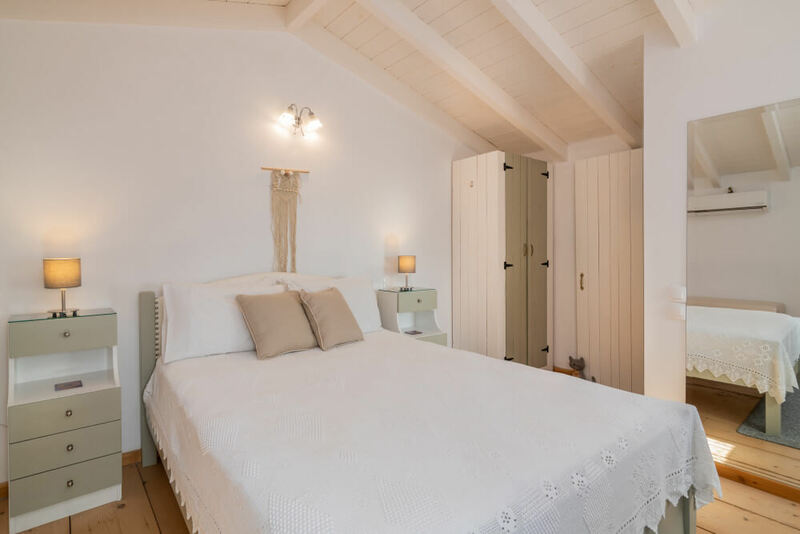 It offers three bedrooms; two are located on the ground floor and are equipped with two single beds each, whereas the third is located in the attic and has a queen-sized bed. There are also two bathrooms with showers on the ground floor. The spacious, open-plan living room (where there is a double-sofa bed and a traditional fireplace) is combined with the dining room and a fully equipped kitchen that is ready to be used for cooking. Villa Daniella’s fenced outdoor spaces are fully furnished, quiet and unique; there is a private swimming pool, an outdoor dining area and a built BBQ.Villa Daniella offers private parking, free WiFi in all rooms and public areas, 24-hour hot water and more. 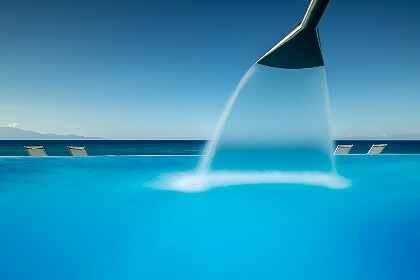 Other extra services such as car, motorcycle and bicycle bike rentals, boat trips and transportation to and from the Zakynthos Airport, can be arranged upon request. 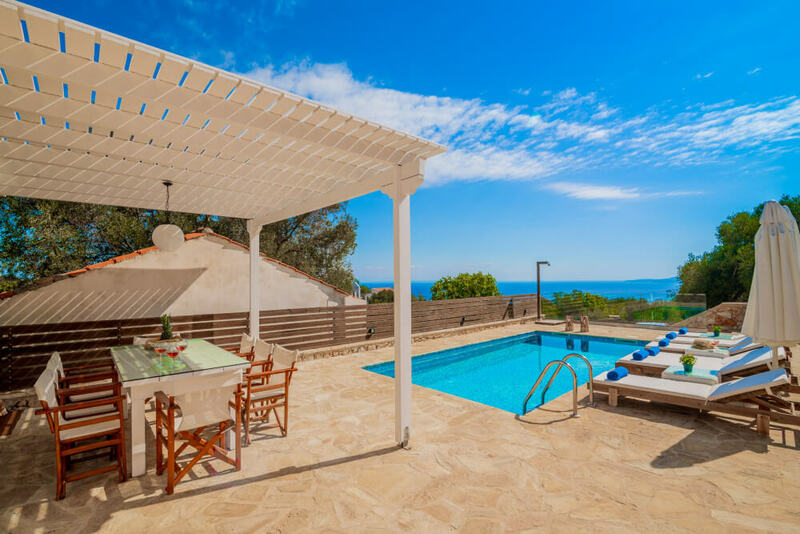 Villa Daniella is located in the settlement of Korithi, a small and quiet village in the northern part of Zakynthos, ideal for those who wish to relax away from the noise of densely inhabited areas. The Korithi area is less populated, with beaches that have deeper waters and fewer visitors. 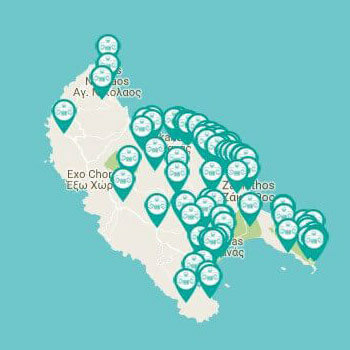 The world-renowned Blue Caves are a mere 2 km away, and you can find everything you need in Agios Nikolaos Port, which is located a short drive (2.2 km) away.